Ewanick will report to CEO Dan Akerson as global marketing chief while continuing to report to Mark Reuss, head of GM North America. General Motors Co., looking to accelerate its push into major markets worldwide and strengthen its brand lineup, tapped U.S. marketing chief Joel Ewanick to fill the new post of global chief marketing officer. "As we continue our rapid growth in major global markets, it is important that we take a more customer-focused view of our overall marketing strategy," GM CEO Dan Akerson said in a statement today. "In a short period of time, with his marketing acumen and creative leadership, Joel has proven to be a vocal advocate for the customer. 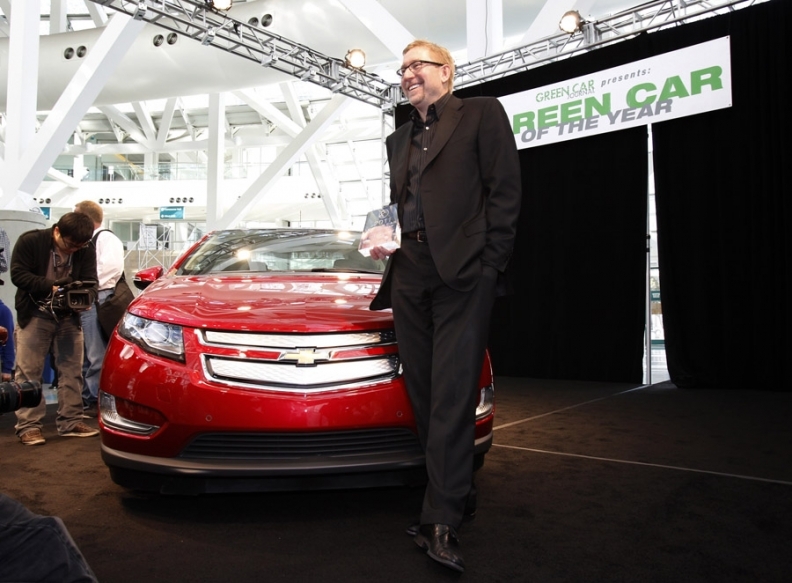 He is the right leader to take GM's marketing strategy to the next level." In his new post, Ewanick will have responsibility for GM's global brands. He also will oversee key global auto shows and GM's corporate and brand marketing participation with major events worldwide. Ewanick, 50, joined GM in May. He will report to Akerson as while continuing to report to Mark Reuss, head of GM North America. Before joining GM, Ewanick was chief marketing officer for Nissan North America. Prior to his brief stint at Nissan, which began in March, he served as vice president of marketing for Hyundai Motor America. At GM, Ewanick has named new advertising agencies for Cadillac and Chevrolet -- two brands that Ewanick says have underperformed in the market -- and pushed for an overall increase in advertising spending. Under Ewanick, GM's biggest division has launched a new campaign featuring the voice of actor Tim Allen -- Chevy Runs Deep -- to underscore its venerable American roots. GM also plans to resume advertising and marketing during major events such as the Super Bowl, PGA tournaments and motorsports circuits, including open-wheel racing. While GM's North American operations remain a key source of sales and profits, the automaker is making a major push to market Chevrolet and Cadillac in Europe and Asia. In China, GM's biggest market, the automaker and its partners have already sold 500,000 Buick, 490,000 Chevrolet and 16,000 Cadillac models this year. GM expects to sell as many as 2.3 million vehicles, including minivans, in China this year and for sales to increase as much as 15 percent in 2011.